All you can eat Buffet every Tuesday! Naughty or nice? Maybe both? 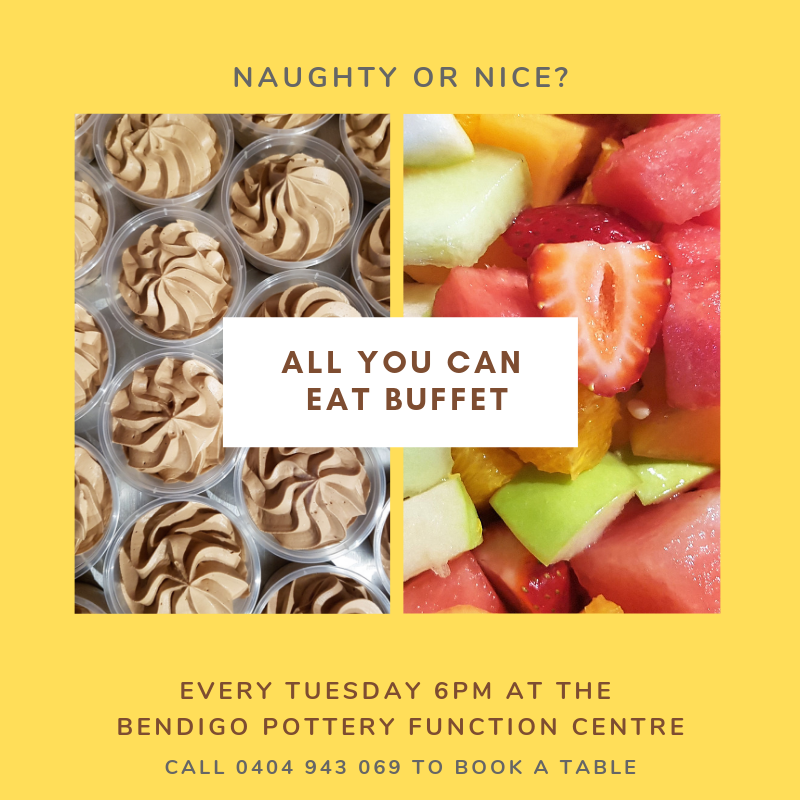 Every Tuesday at the Bendigo Pottery Function Centre the choice is yours at our All you can eat Buffet. Bring your family and friends and enjoy a great value meal with lots of delicious menu options to choose from. Don’t forget children 6 and under eat free and 7 to 13 are half price! Call us on 0404 943 069 to book a table.